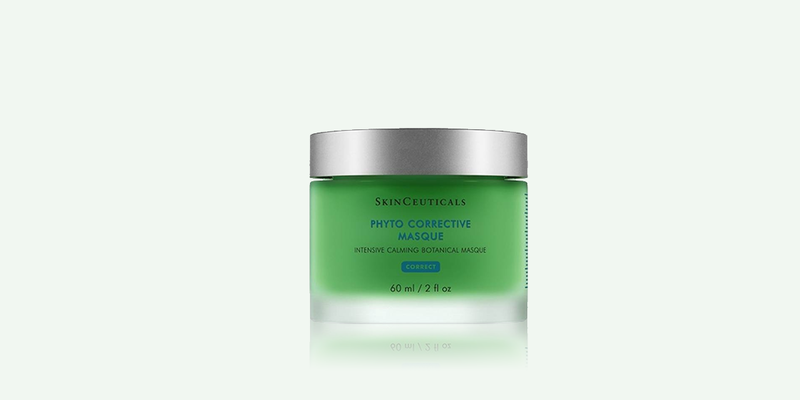 Introducing SkinCeuticals Phyto Corrective Masque – the latest addition to the Correct range and professional mask portfolio. The culmination of four types of clinical testing and development, Phyto Corrective Masque uses high potency botanical extracts and a concentrated calming dipeptide within a hyaluronic acid base to deliver a soothing and restorative result, ideal for post-procedure recovery. Temporary skin reactivity from sun exposure, environmental aggressors, facial extractions or aesthetic procedures can lead to redness, discomfort, blotchiness, dehydration and a loss of natural radiance. Phyto Corrective Masque has been specifically formulated as the ideal calming and replenishing post-procedure formulation, as it can reduce the skin’s surface temperature – restoring hydration for optimum skin comfort, whilst minimising downtime and maximising aesthetic results.